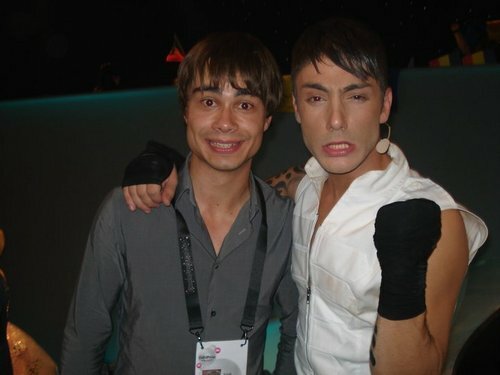 Alex with a greek dancer in ESC 2010 backstage. Alex with a greek dancer in ESC 2010 backstage. HD Wallpaper and background images in the Alexander Rybak club tagged: rybak alexander alex cute eurovision song contest 2010.